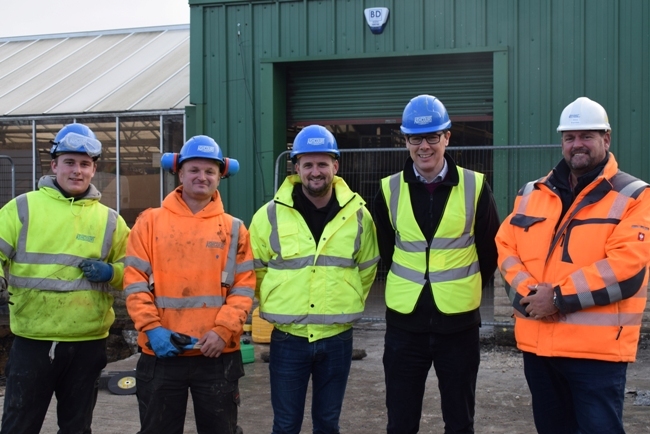 Tong’s managing director Mark Farnsworth said: “In our continued support of, and investment in, the Yorkshire economy, we have appointed Yorkshire tradesmen wherever possible. Since Mr Farnsworth and his business partner, Tom Megginson acquired Tong Garden Centre in 2015, they have invested over £2 million to improve the centre with a new plant area, the launch of Grass Hoppers adventure playground, a food hall with instore bakery and butchery departments and the creation of a 320 seat restaurant. The business now provides employment for 160 people and it is anticipated that this will rise to over 200 by the time that the first phase of the expansion is completed in July 2019.